In recent years, the number of children in my practice investigating and receiving cochlear implants who have significant disabilities in addition to their deafness has increased substantially. The Champions booklet brings together the collective experience of some experts in the field of both cochlear implantation and children with complex needs. 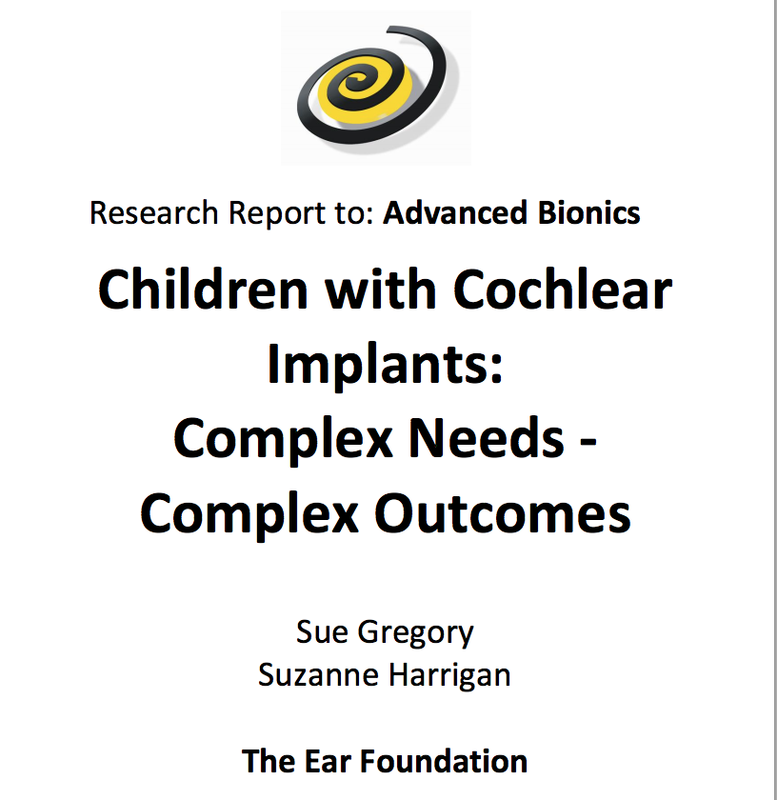 It highlights current knowledge, points to sources of further information and aims to support parents and those working with children, whether in implant teams or not, in giving cochlear implantation full consideration. It also provides Champions Evaluation Profiles to assess these complex children. See below. This questionnaire needs to be filled in by all those who have direct contact with the child named below. Please fill in the sections that are relevant to your knowledge of the child and give as much information as possible about other professionals who are also involved with the child’s care. Please note that this form is designed to be as comprehensive as possible and therefore not all sections will be appropriate to the child that you are working with. How often do you work with the child? Length of session? Please circle as appropriate for the following, giving name and contact telephone number. How does the child attempt to get the attention of others? Does the child initiate interaction or only respond? How are needs and wants expressed? Is the child interested in taking part in any form of interaction? Does the child associate any words, signs or symbols with another person, object or event? What form does the interaction take? Can the child attend to a task? Can the child classify: sort or match? Does the child have awareness of people, objects, events, places? Does child have symbolic understanding? Does the child demonstrate recognition of people, objects & places? Does the child display imitation: the ability to copy or turn-take? Memory: does the child show the ability to predict, store information in the short or longer term? Curiosity: does child show the ability to explore immediate environment; any awareness of cause and effect or problem solving skills? Does child show the ability to anticipate events? Is interaction with adults and children the same – is there a preference? Does child display attachments to others? Does child have preference for particular environment? If so, why? Please add any further information that you feel may be helpful to us in assessing this child. Meinzen-Derr J, Wiley S, Grether S, Choo DI. Language performance in children with cochlear implants and additional disabilities. Laryngoscope. 2009. Hans PS, England R, Prowse S, Young E, Sheehan PZ. UK and Ireland experience of cochlear implants in children with Down Syndrome. Int J Pediatr Otorhinolaryngol. 2009. Johnson, Karen C.; DesJardin, Jean L.; Barker, David H.; Quittner, Alexandra L.; Winter, Margaret E. Cochlear Implants and Multiple Disabilities: Two Case Studies. Otology & Neurotology. 29(2):246-250, February 2008. Edwards L. Children With Cochlear Implants and Complex Needs: A Review of Outcome Research and Psychological Practice Journal Deaf Stud. Deaf Educ. (2007) 12 (3): 258-268. Donaldson, Amy Isaacs MA; Heavner, Krista S. MS; Zwolan, Teresa A. PhD Measuring Progress in Children With Autism Spectrum Disorder Who Have Cochlear Implants. Archives of Otolaryngology -- Head & Neck Surgery. 130(5):666-671, May 2004.